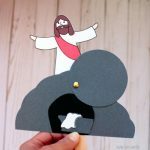 After creating the He is Risen! 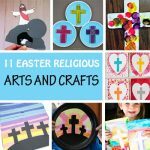 craft, I have decided to add more ideas to our religious Easter craft collection. 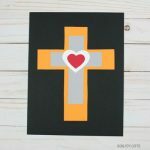 So I came up with an Easter cross art project that is very easy to make and leaves room to a lot of creativity. 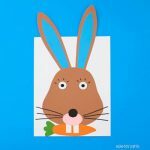 With just one template, we created four art projects using different painting techniques. 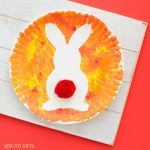 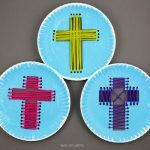 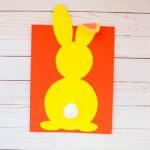 This cross activity can be used as a Easter Sunday School project or it can be made at home with mom or dad. 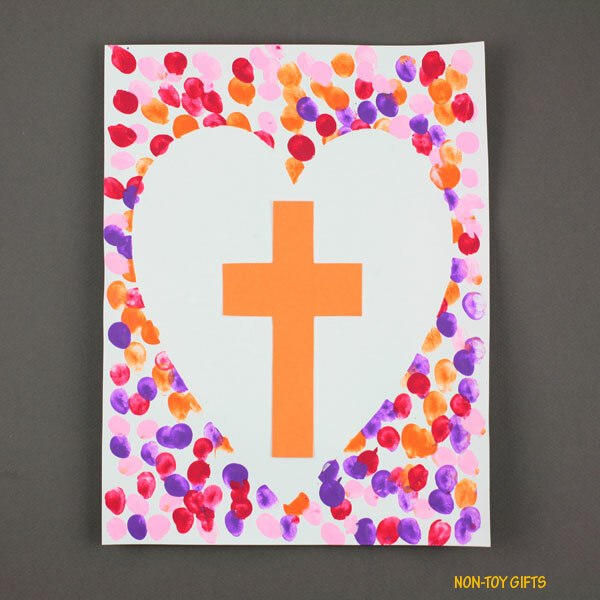 Print the Easter cross template and cut out the heart pattern. 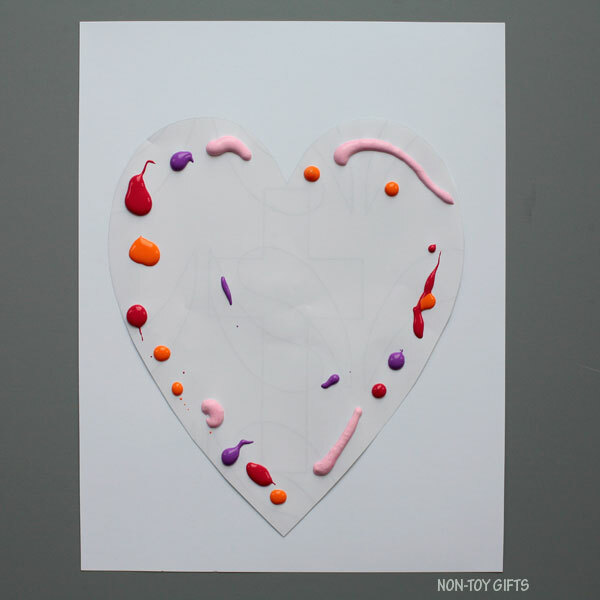 Tape the heart in the middle of a white cardstock paper sheet. 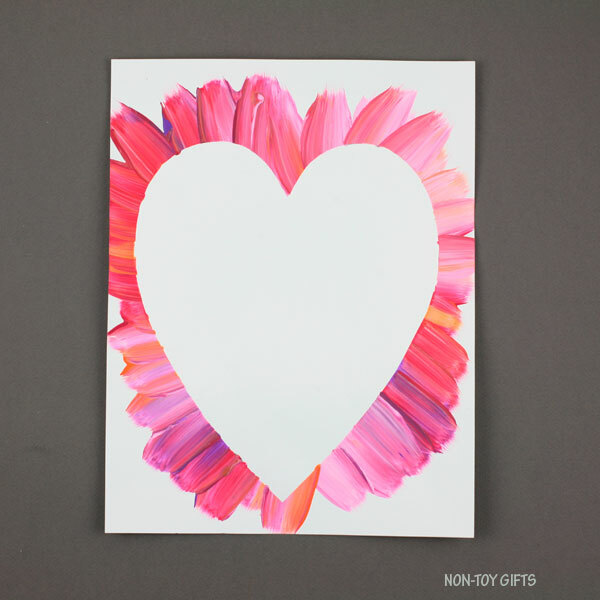 We didn’t use double sided tape as I was afraid the heart may stick too well to the cardstock and it may damage the cardstock when we try to peel it off at the end. 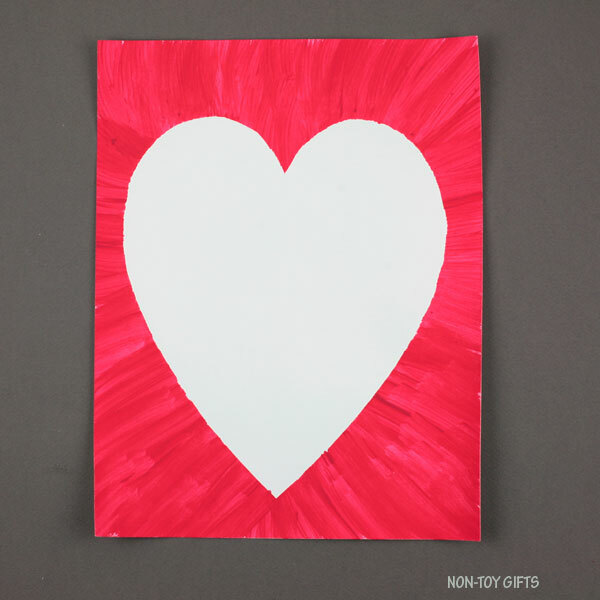 Instead I made a rolled tape loop ( a small loop made from regular tape with the adhesive facing out) and didn’t press the heart too hard onto the cardstock but enough for it to stay in place. 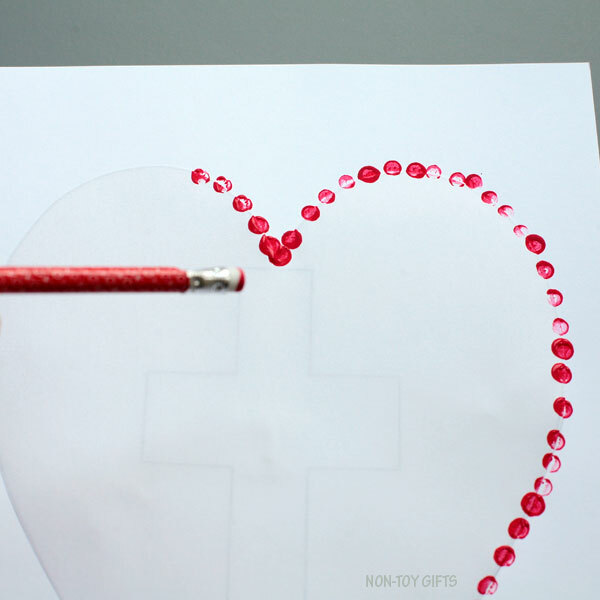 Dip the eraser of a new pencil into paint and press it along the edge of the heart. 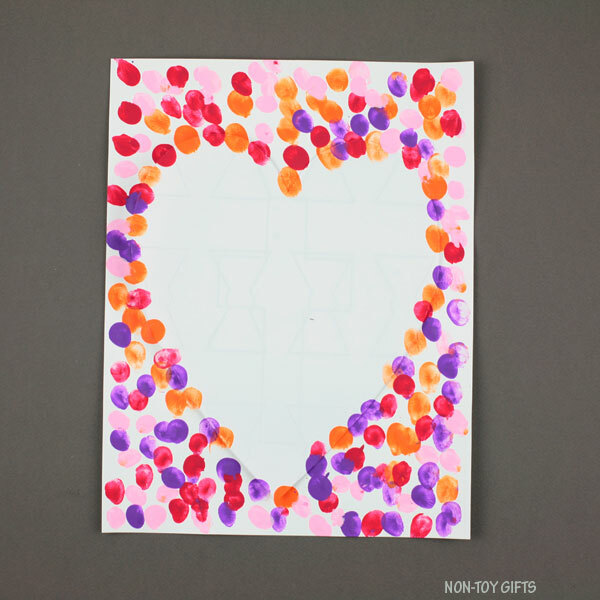 Once you are done outlining the heart shape you can move further away from the heart covering the rest of the cardstock paper. 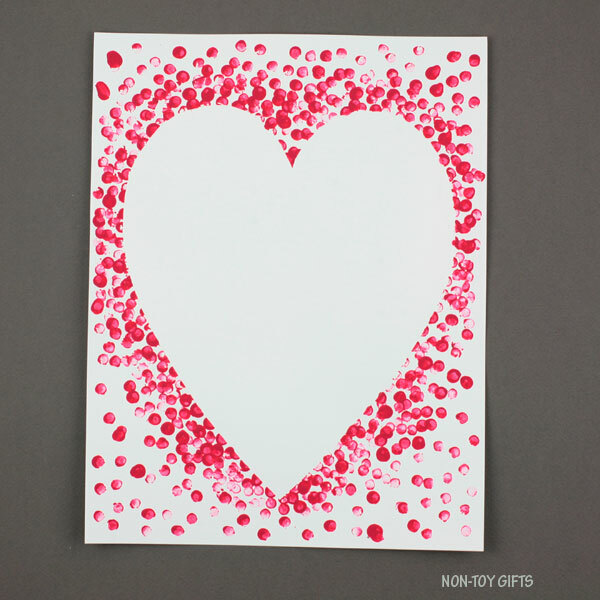 Add a lot of dots right next to the heart and make them fade away as you go further away from it. 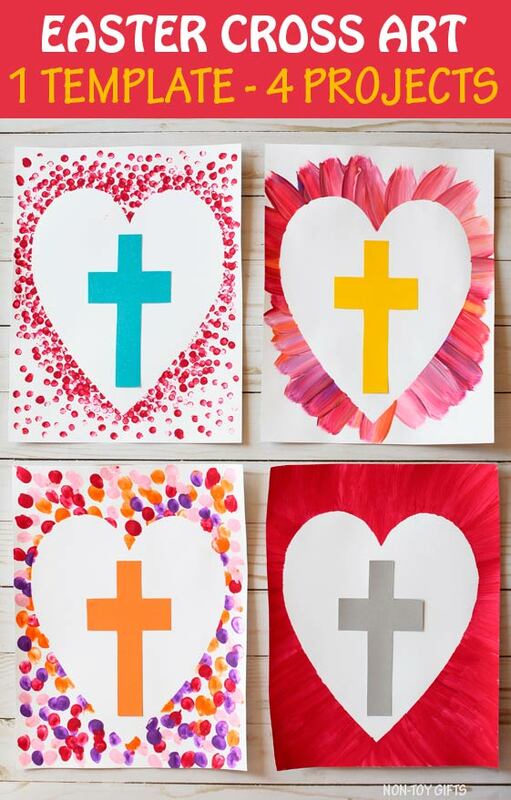 Wait for the paint to dry completely. 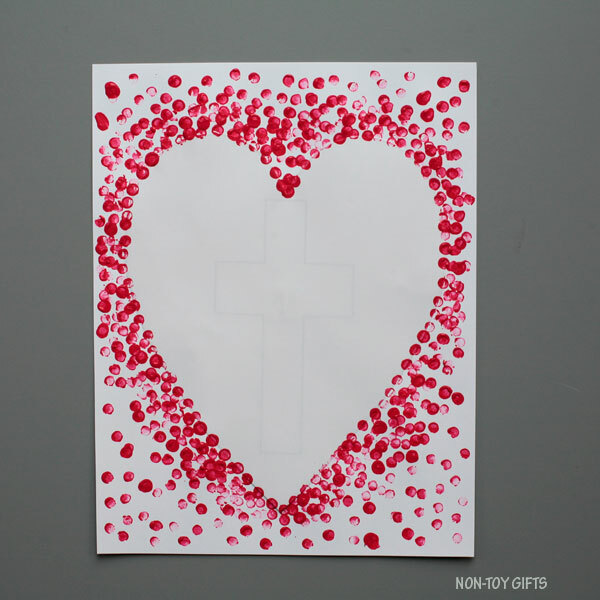 Peel off the heart. 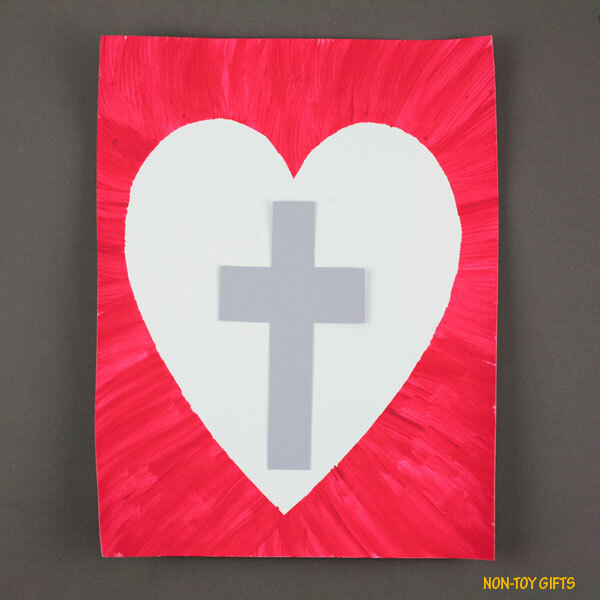 Cut out the cross from colored paper and glue it to the middle of the heart. 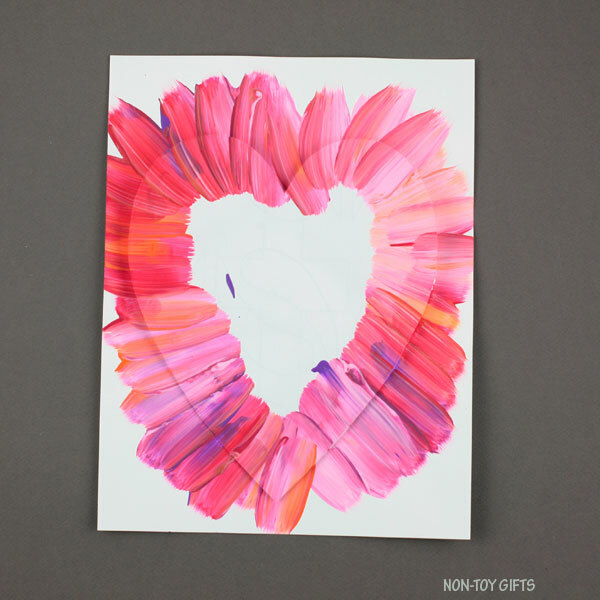 Let your kid(s) dip their fingers into paint and press them along the edge of the heart. 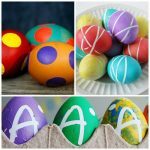 If you use more colors, make it one color per finger. 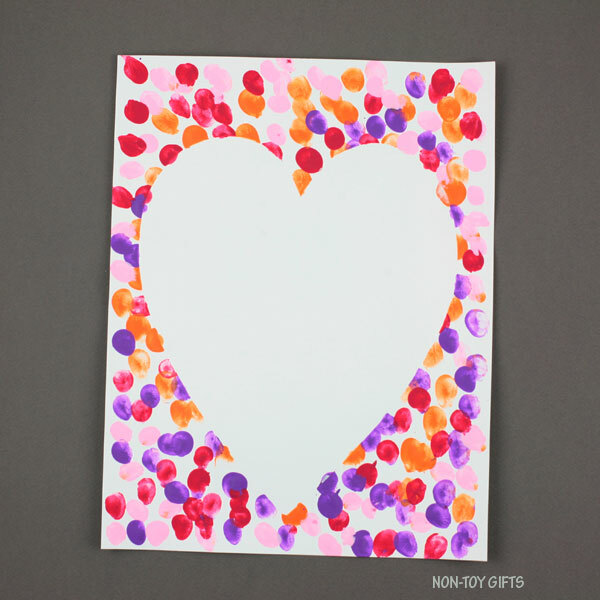 As in the pencil dot art, start by outlining the heart shape and then move further away from the heart covering the rest of the cardstock paper. 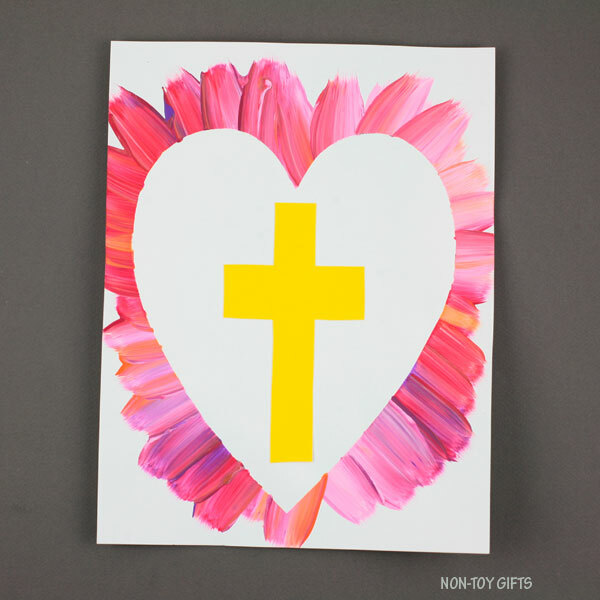 Squirt paint of different colors onto the heart, close to the edge. 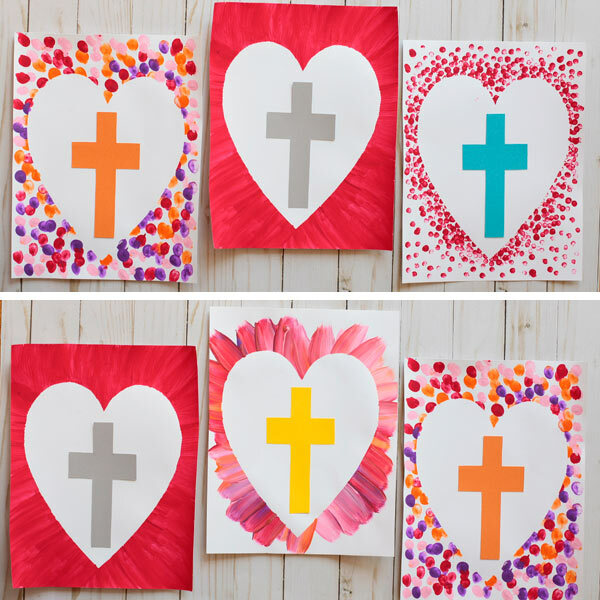 Use a paintbrush to spread the paint towards the cardstock. 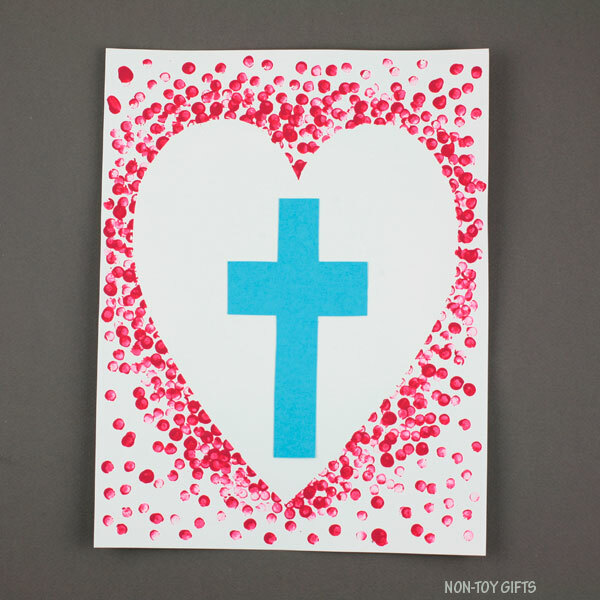 Paint the cardstock paper around the heart. 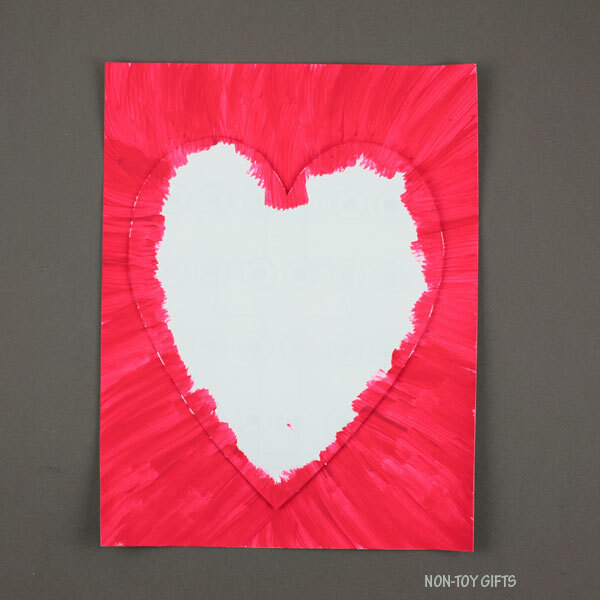 We used red but you can use any other color of your choice.